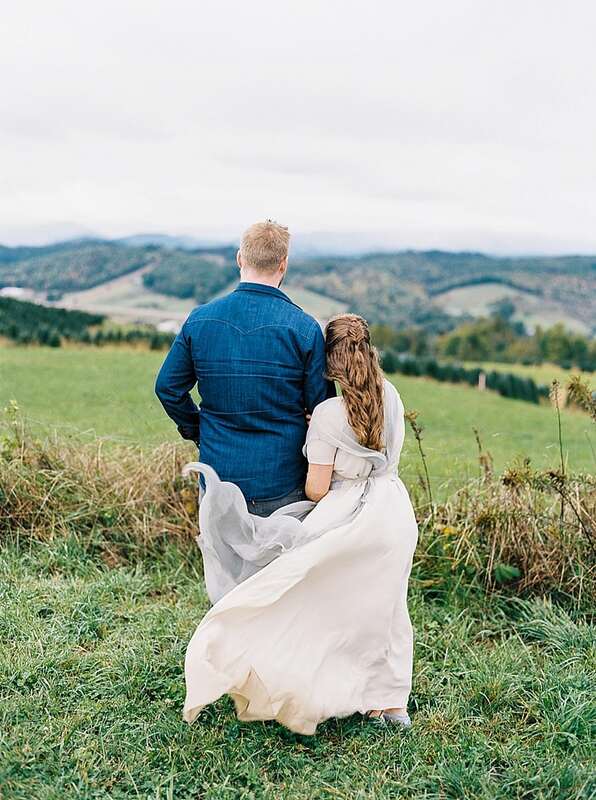 Kasey and Wes got married in the lushest of locations: Elk Knob State Park, in North Carolina. Rich green foliage, mossy benches, moody clouds and breathtaking views. 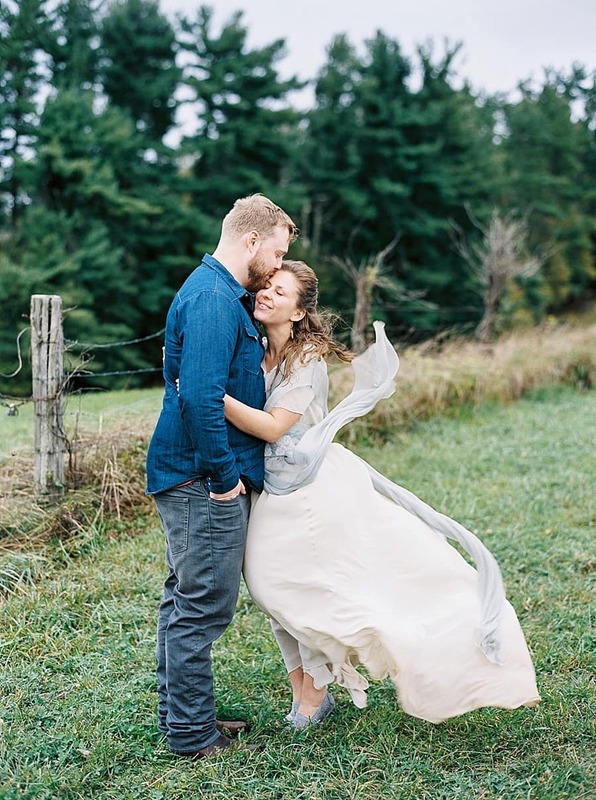 Kasey was radiant in her one of a kind blue and ecru silk dress, which blew in the wind most beautifully. 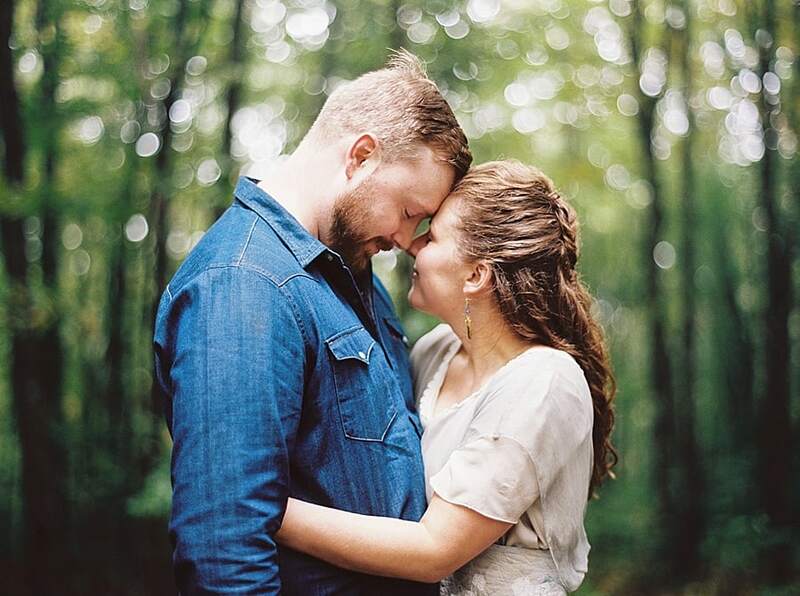 The natural, earthy feeling these pictures transmit is so peaceful and sweet! The dress is a version of the Hedera, with short sleeves in the underdress, and the top layer in dusty blue.